At ExtraHop, we get excited about how our customers are using our network-based application performance management (APM) solution to do some really astonishing things. ExtraHop customers run some of the largest, most complex application environments out there—and they do it better than most. Some people might think that companies with world-class IT Operations don't need to worry about application performance or APM, but the reality is quite the opposite. The companies with the best-run applications buy ExtraHop because they care the most about application performance and want to sustain and build on their competitive edge. We've just published a new case study for one such ExtraHop customer, Concur Technologies, which provides the world's leading travel and expense reporting SaaS solution. Concur has been an ExtraHop customer since the early days, purchasing the ExtraHop system to aid in troubleshooting complex application performance problems. As their business continues to expand and grow, they're also taking advantage of the ExtraHop system to accomplish many other interesting and impressive tasks. The story below introduces Concur's recent successes with the ExtraHop system. 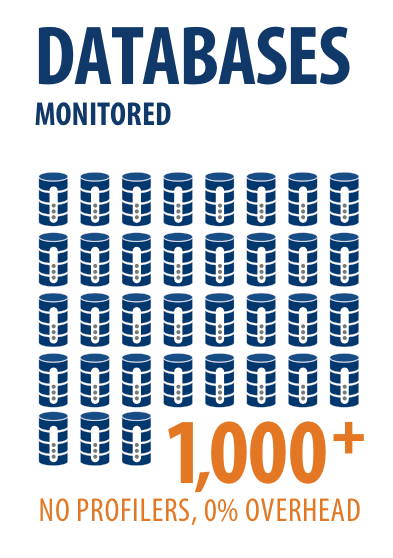 To get the full details, download the Concur case study and accompanying infographic. Imagine you're in charge of R&D Operations at the world's largest ERP SaaS provider.1 You're building datacenters overseas to support international expansion, rolling out new platform-as-a-service (PaaS) offerings, and adding capacity to support double-digit annual growth, with an expected $500 million in revenue for 2012. What's keeping you awake at night isn't the speed of application responses, although that is a priority. What you really care about is increasing the efficiency of a ginormous web-scale application environment. Welcome to the life of Drew Garner, Director of Architecture Services at Concur Technologies. He's responsible for designing cloud computing infrastructure for the company and is constantly seeking ways to scale the application and drive down costs. Garner notes that for Concur, application performance is not just about speed—it's also about efficiency. "As a software-as-a-service product, our pricing is directly tied to how much it costs to process each expense report. We have to be able to serve a transaction tomorrow with fewer resources than today," says Garner. "If we don't do that, we'll get beaten by the competition because they'll figure out how to do it first." With more than 1,000 database servers running 2 billion SQL queries each day, Concur considers its database infrastructure the brain of its application. To optimize the efficiency of its database infrastructure, Garner's team at Concur wanted to switch their homegrown database caching system to Couchbase Server, an open-source NoSQL database. The R&D Operations team first needed to identify the best database workloads to move to Couchbase. The Concur team customized analysis in the ExtraHop system to calculate the total weight of each of the 2 billion daily SQL queries, multiplying the number of times the query was run by the time required to return the data. With more than 1,000 database instances, this task was no trivial accomplishment. "ExtraHop is the only solution that can provide this analysis continuously and in real time for our entire database infrastructure," Garner explains, "Our DBAs could either run a trace on each database, which would be like shining a spotlight on a small section of a highway, or they could use the ExtraHop system, which is like lighting the entire highway." Concur also uses the ExtraHop system to monitor memcache transactions as they pass over the network. This passive analysis enables the R&D Operations team to tune and troubleshoot the performance of their caching system without relying on burdensome host-based instrumentation that would dramatically impact access and response times. 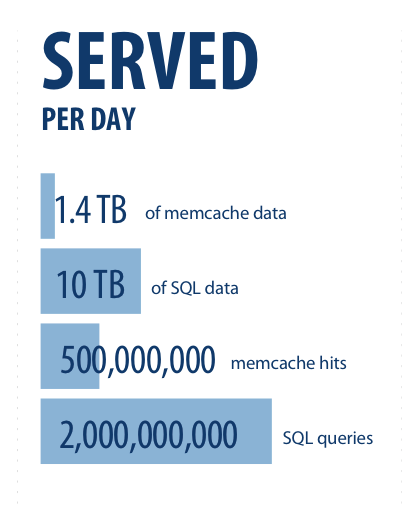 In one situation, Concur used the ExtraHop system to identify memcache keys that exceeded the 1MB limit. "ExtraHop was the only product that could detect the problem and find the offending keys," says Garner. "With this specific information, we could apply compression in the application to fix the problem. Usually, people monitor memcache with server-side and client-side metrics, but there is a lot of activity in the middle that is crucial. With ExtraHop, we can monitor our memcache implementation from end to end." 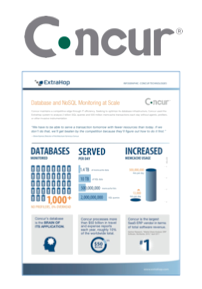 To read the whole story of how Concur uses the ExtraHop system to optimize the efficiency of its cloud computing infrastructure, including how the company uses Application Inspection Triggers to address issues their user-experience monitoring tool can't, download the full case study. 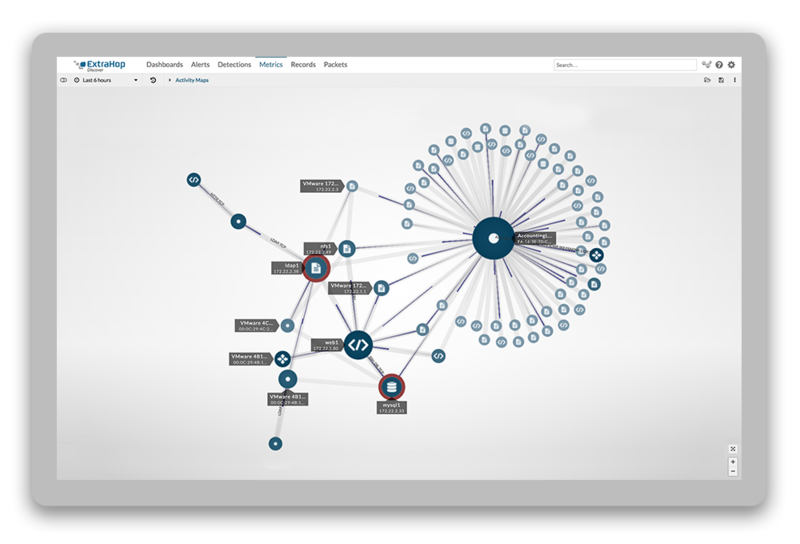 You can also find out more about the application performance monitoring capabilities of the ExtraHop system by using Network Timeout, the free packet analysis service powered by ExtraHop. 1 Concur is the largest SaaS ERP provider in terms of total software revenue for 2010. Gartner Research, "Market Share Analysis: ERP Software, Worldwide, 2010," April 2011.